Even a small water ditch like the one we use here can in the beginning be rather spooky for many a horse. Our horses also found this "thing" very suspicious in the beginning, maybe somehow they did not get along with the blue colour. 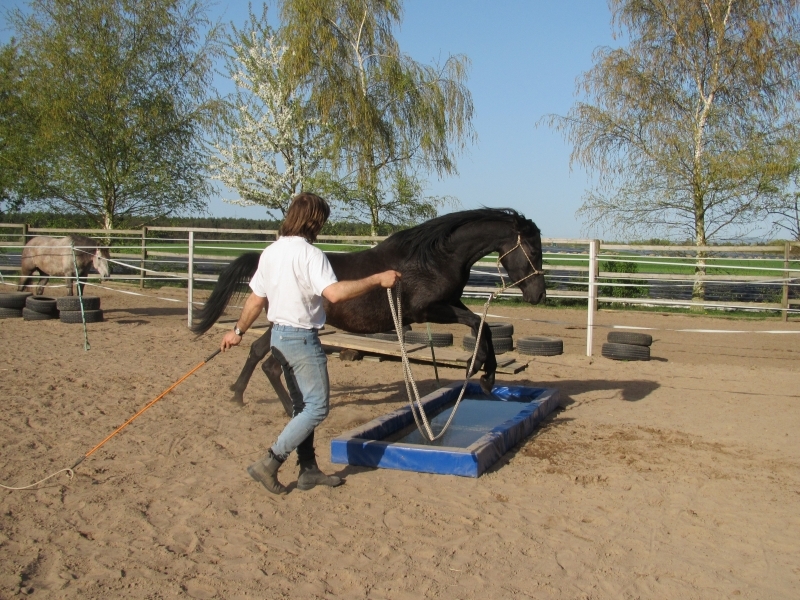 But with a little bit of practice and the right demands you reach your goal well and we could persuade our horses to master this obstacle. 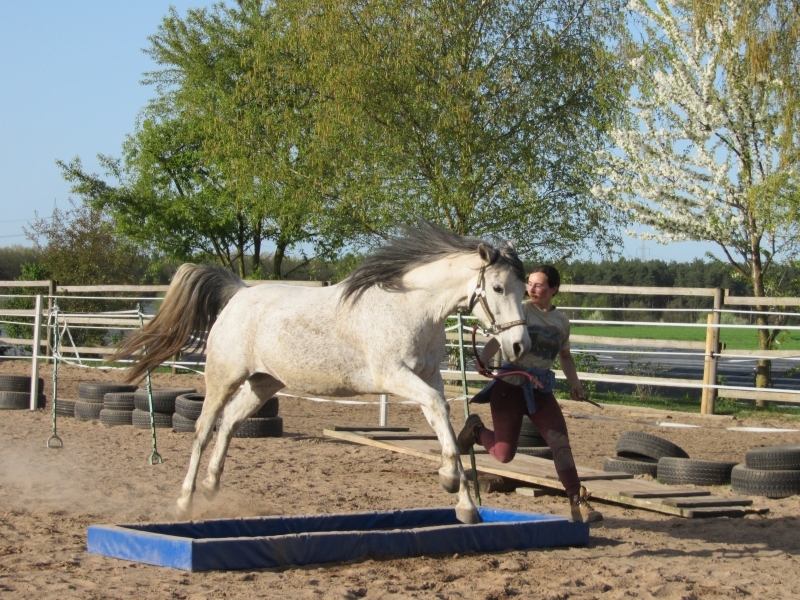 Amira here already did comprehend what this is about, she shall on demand jump over the ditch on the loose rope, while not trying to cheat around the obstacle via the right or left. 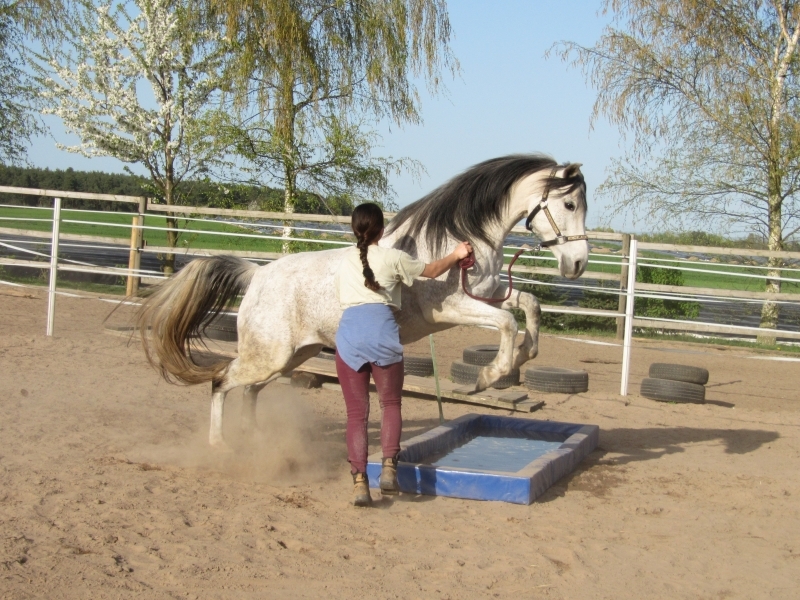 But because this is eldritch nevertheless, to be on the safe side we do a nice large leap so that we don't get too close tot the water! But of course the other horses pass the ditch with flying colours, too! Who wants may join the jump himself! And here's a snapshot that made us laugh a lot, because is simply looks too funny! But look up: Even if it looks funny, this is a good example how it normally should not be done! This situation is - if you don't own such a well-behaved, reliable horse like Legolas here - rapidly rather dangerous for the human! 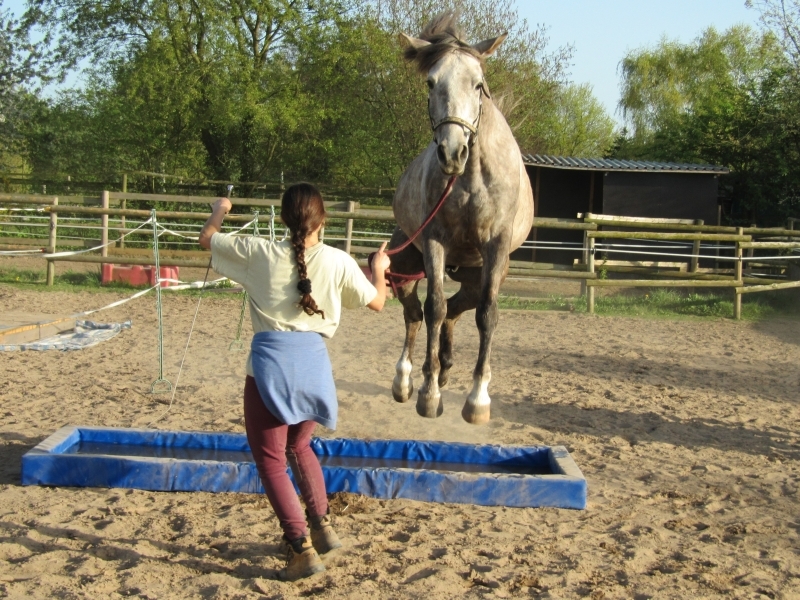 For many horses, in an effort to reach the safest place available behind the obstacle, they jump exactly to the place where the human stands - after all, where someone already stands the ground must be safe.